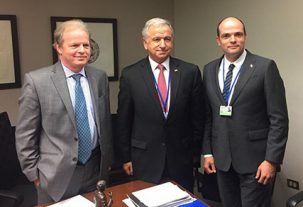 The director of InvestChile, Cristián Rodríguez, and Mining Minister Baldo Prokurica met with over ten, mainly Canadian, mining companies. The world’s largest mining exploration fair, organized by the Prospectors and Developers Association of Canada (PDAC), concluded yesterday. 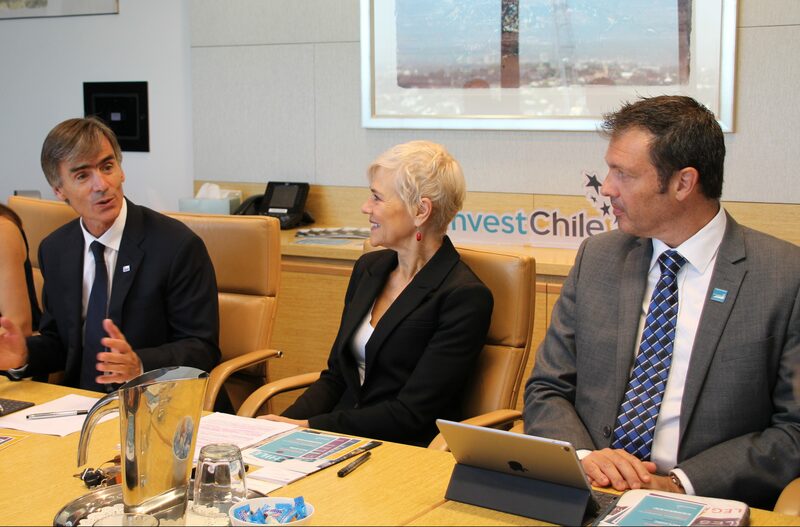 At the fair, Chile was represented by the director of InvestChile, Cristián Rodríguez, and Mining Minister Baldo Prokurica. 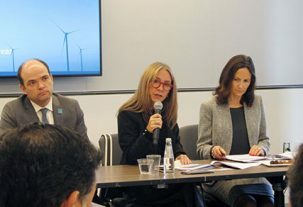 Rodríguez talked about the activities of the two authorities, explaining that, over the three days of the fair, they had held bilateral meetings with over ten companies, mostly from Canada, to promote the investment opportunities that exist in the sector in Chile. 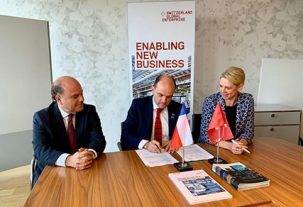 “Companies like Teck and Amerigo Resources commented on how easy it is to invest in Chile and the quality of its professionals,” reported Rodríguez. “We saw great interest in the portfolio of projects we presented with Minister Prokurica and soon hope to be working to promote Enami’s portfolio as well,” he said. 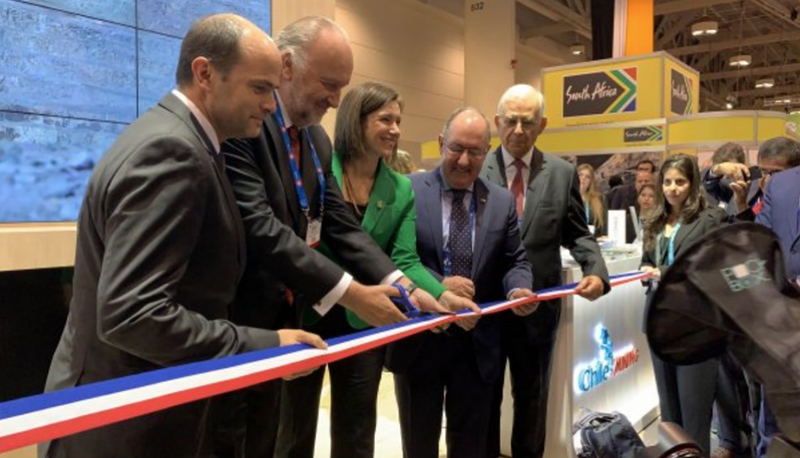 The book “Chile, A country of opportunities in investment and development” was launched during the fair, promoting 32 medium-scale mining projects that, for the first time, include four lithium projects as well as cobalt projects. 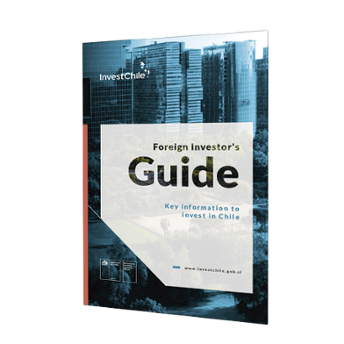 “Mining accounts for 30% of the stock of foreign investment in Chile and is a sector that knows Chile well,” pointed out the director of Chile’s foreign investment promotion agency. The initiatives presented in the book are divided into projects that have not yet applied for environmental approval (2) and others that have already obtained approval but have not yet made the planned investments (5). Out of the 25 exploration projects, 88% are located in the Regions of Antofagasta (7), Atacama (9) and Coquimbo (6). The initiatives cover a wide range of minerals: copper (7 projects); lithium (4); gold (4); cobalt (1); IOCG and polymetallic deposits (8); and other minerals (1). The PDAC Convention takes place annually and attracts some 30,000 visitors from across five continents, who are able to learn about the latest developments, trends and innovations in the mining sector internationally. Junior companies open their exploration programs and development projects to the scrutiny of their peers, investors, financiers and specialized analysts while mining suppliers can promote and sell their exploration products and services.